VS349 Spitfire VB AB910 of the Battle of Britain Memorial Flight based at RAF Coningsby piloted by Flt Lt Antony Parkinson. Pic: Flickr member; Rob 68. Coningsby Airfield is located south of Coningsby village between the A153 and B1192. Work began September 1939, under Scheme ‘M’ of the RAF expansion programme to construct a bomber airfield. Built to the standard compact layout of an Expansion Period airfield with the buildings contained within the camp, early austerity measures resulted in the planned ’C’ Type hangars being replaced with two ‘J’ Types. Coningsby opened on 4 November 1940 as an airfield in 5 Group and received its first operational unit 22 February 1941, when 106 Squadon’s Hampdens arrived from Finningley, Yorkshire. The squadron was joined on 10 March 1941 by 97 Squadron who were re-equipping with the ill-fated Avro Manchester aircraft at Waddington. Both squadrons converted to Lancasters whilst at Coningsby. However, the deteriorating state of the grass runways saw 97 Squadron leave for Woodhall Spa on 2nd March 1942. 106 Squadron remained at Coningsby until 30 September 1942 when they moved to RAF Syserston, Nottinghamshire. Reopening, August 1943, Coningsby was developed as a standard ‘A’ Class bomber airfield. The three concrete runways were of non-standard lengths, the main strip being 1,950 yards with the subsidiaries 1,550 and 1,400 yards, all at the standard 50 yard width, connected by a perimeter track. The first operational unit to use the new airfield was 617 Squadron who arrived from Scampton, 30 August 1943, following the famous Dambuster raids. The squadron stayed until 10 January 1944 when it moved the short distance to Woodhall Spa. 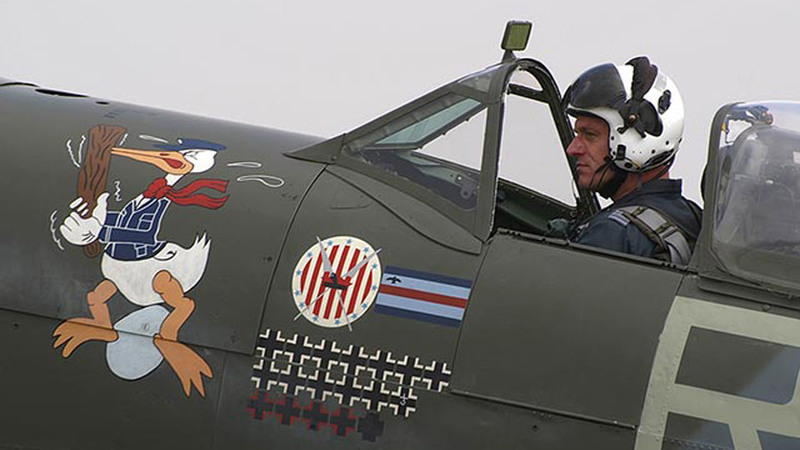 It exchanged places with 619 Squadron, who moved to Dunholme Lodge 17 April 1944. On 12 January 1944, 61 Squadron arrived from Skellingthorpe, returning on 15 April. By this time Coningsby had been designated as the Pathfinder Station for 5 Group which on 18 April 1944 saw the arrival of 83 Squadron from Wyton, Cambridgeshire, and the return of 97 Squadron. Both squadrons would remain at Coningsby until 1946. Coningsby was one of the stations retained by the RAF following the end of WWII. Since then a variety of aircraft have been based there, including Mosquitos, Washington’s, Canberrras, Vulcans, Phantoms and the Air Defence variant of the Tornado. 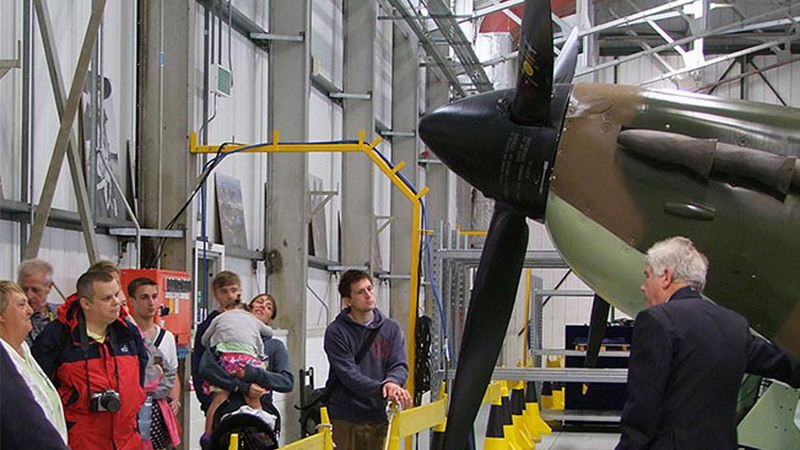 Battle of Britain Memorial Flight hangar tour at Coningsby. RAF Coningsby is famous today as the home of the Battle of Britain Memorial Flight and the RAF’s latest jet fighter aircraft, the Typhoon.